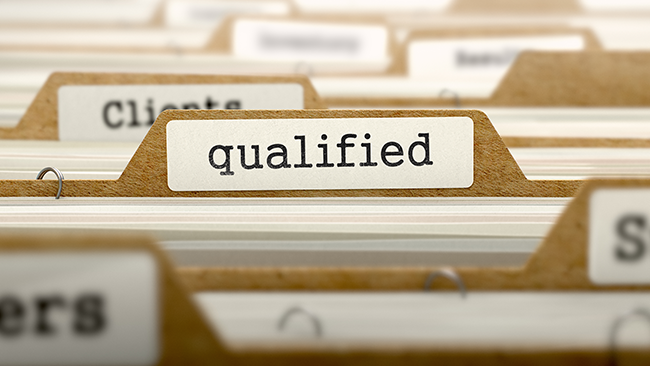 As I work with advisors on a daily basis, I’m hearing one question that stands out the most: “Can you help me get in front of more qualified prospects?” There are many ways to put yourself in the same room as higher-net worth and better fit prospects. Your tools can include seminars, direct mail campaigns, fundraisers, and referrals. The most prominent thought in my mind when asked this, is how you should present yourself in a way that draws prospects into your office after your prospecting events. One question I always ask is: How does the advisor represent themself in a new prospect's eye? Do they show they have an interest in helping prospects find the most sutiable solutions to their concerns? Are they creating a positive first impression and a comfortable experience? I’ve seen many successful financial advisors reach the prospects they desire by evaluating where they currently stand. Drawing in your best fit prospects is all about how you have positioned yourself as a financial professional. Do You have a personal biography? A personal biography helps you connect with your prospects. State your planning philosophies in a way that helps take the worry out of a prospect's mind. Your biography should communicate your cause and belief, and demonstrate that you provide well rounded, holistic advice. Adding your biography to a first impression kit can help you communicate your message effectively when you aren't there. Always have your materials printed professionally. A poorly printed bio does not make a good impression. Another marketing tool you should invest in is a professionally designed website. A simple and clean design is best for your website. Clients and prospects should able to navigate easily and get wherever they want to go within one or two clicks. I recommend working with a professional web designer who will help you anticipate where the visitors will want to go. You should also feature your bio on your website. What is the experience you're trying to provide? You should make every effort to provide a first class experience for those who visit your office. Your guests should be warmly greeted the moment they enter your facility. A beverage should be offered along with a comfortable place to wait. Providing beverages and snacks to visiting clients is a basic of hospitality. It creates a sense of ease and connection, which is exactly how you want them to feel. The entire office should be clean and neat to make it more enjoyable for visitors. The first impression will be a lasting one. Yes, every detail matters. Details impact your connections and representation so they should be polished prior to showing up as a financial advisor and hoping to attract the best prospects. Examine the details of your appearance and presentations. You want prospects to be impressed and you want to give them a reason to work with you. Focusing on the small details can make a positive impression on your prospects and clients. Then, no matter how you prospect, you have a better chance of working with more qualified prospects and perhaps even generating referrals. If you want to work with one new small-business owner and their employees each month, check out this OnDemand webinar. We're unveiling our secrets to cracking the corporate door and showing you how we put you in front of one new small-business owner each month so you can promote financial wellness and promote individual life insurance and annuities to their employees.